Castel Sant'Angelo View From the Bridge Rome, Italy. hd00:19ROME, ITALY - APRIL 18: Tourists cross the Ponte Sant'Angelo on April 18, 2015 in Rome, Italy. 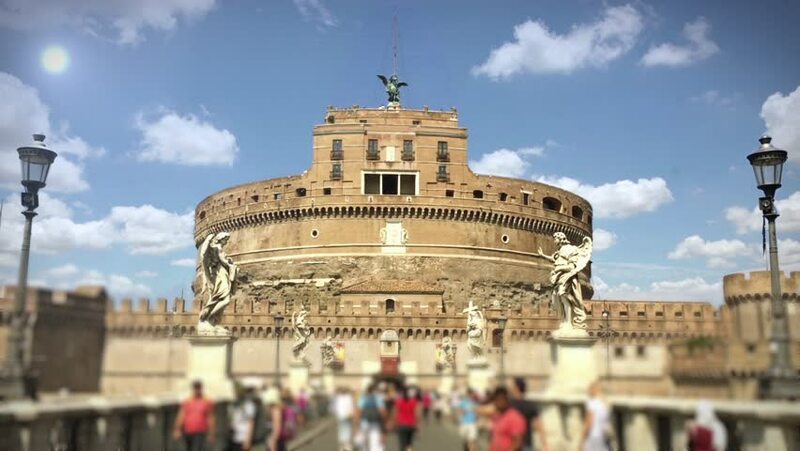 4k00:10Time Lapse of Castel Sant Angelo or Mausoleum of Hadrian in Rome Italy ,built in ancient Rome, it is now the tourist attraction of Rome Italy. Castel Sant Angelo was once the tallest building of Rome. hd00:25OXFORD, OXFORDSHIRE/ENGLAND - JUNE 30: Unidentified tourists visit Bodleian and Sheldonian on June 30, 2013 in Oxford. The Sheldonian Theatre was built by Christopher Wren between 1664 and 1668.